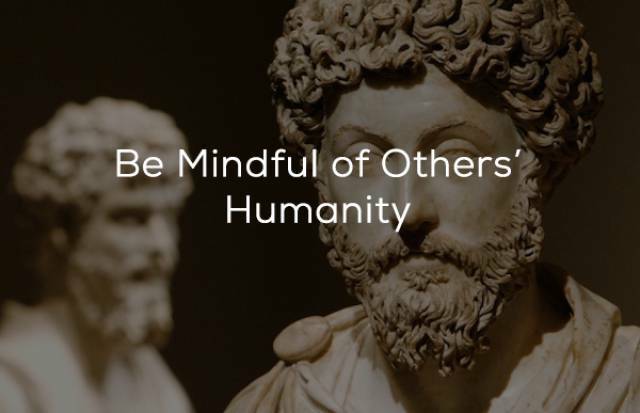 According to Marcus Aurelius, even though there will always be people who will live selfishly and try to destroy others, for the most part, we’re meant to work in harmony, and are in the world for the sake of one another. We don’t see progress by putting people down and using them as stepping stones, but we should collectively work together to change the path forward. 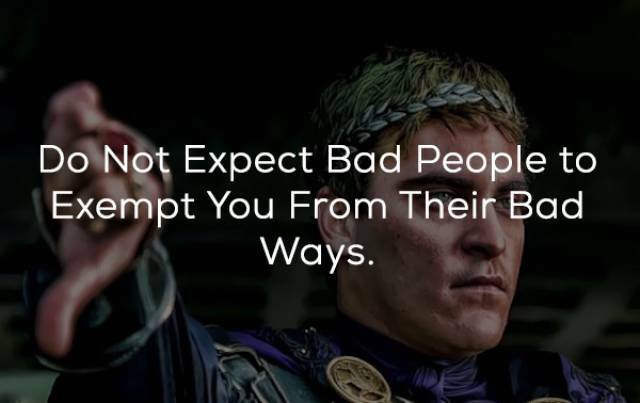 Those that understand this, can emerge as leaders, and be the guardian of their followers. Remember that every one of your followers, you superiors and your enemies is a human being. They eat, sleep and make mistakes. This might seem obvious, but it’s easy to belittle or magnify someone’s importance, when you’re making a decision about them. Everyone deserves dignity and pride. 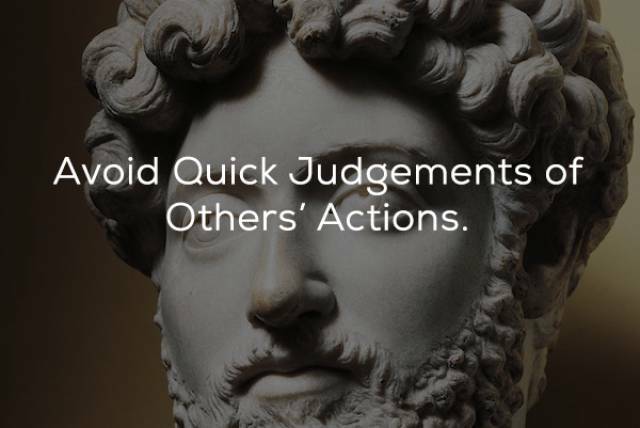 When someone does something that offends you, first think about whether they were “right” to do this, Aurelius writes. What he means is that, were they “right” in the moral sense, regardless of if it’s against what you want. If what they’ve done is morally and socially acceptable, then you have to be at peace with that mistake. 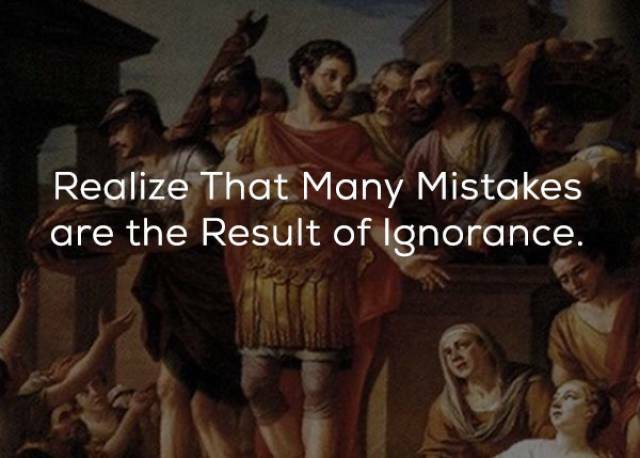 If, however, they behave in a morally reprehensible way, then first assume that their actions are based in ignorance. Any action you take, whether it’s punishment or chastising them, needs to be done in an educational way. 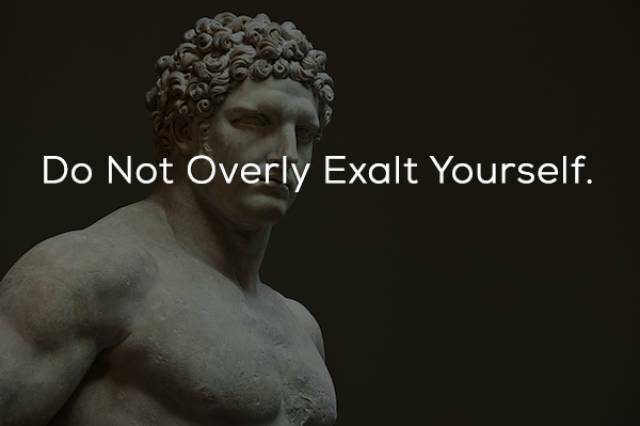 It’s true that as a leader, you should take your role seriously, but not in a way that makes you too far above everyone else – “godlike” he calls it. You need to remember that you’ve made mistakes yourself, and if you’ve avoided the same mistakes that others have made, it doesn’t make you special. You still have the potential to make those mistakes, similar mistakes, or even worse ones. You’re not infallible, just because you’re in a leadership position. Sometimes, what you think are mistakes on the part of competitors or subordinates, might be something more. A lot of things are means to an end, and you need to have more knowledge at hand, than you think, before you can judge people’s actions with true understanding. Everyone’s got a story, or a battle, and you’d be best served knowing what that is, before you make decisions. While it’s easy to lose your temper when you’re offended, it’s not constructive. 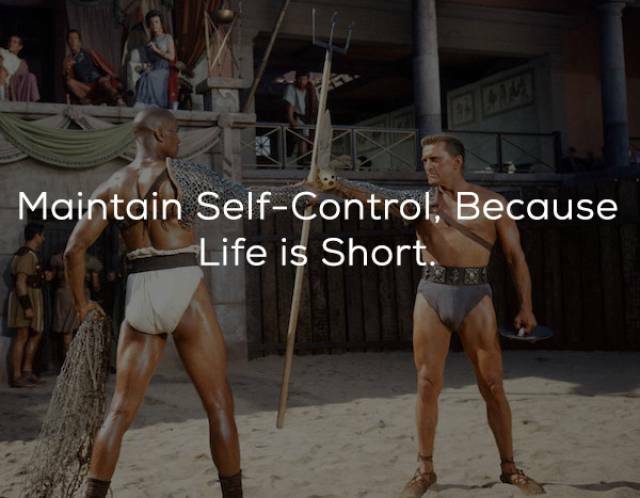 Marcus insists that we maintain control over our emotions, because there’s more to life. You can either choose to spend your time worrying over things that have happened/will happen, or you can be calm, address problems and look towards situations positively. This is key. Think about it this way; if someone insults you, you make a decision to let their words hurt you, rather than pity them for being ignorant or rude. You’re in control of your own self worth and values. Remember that. It’s one thing to know these rules, it’s another thing to maintain your dedication to them, realistically. 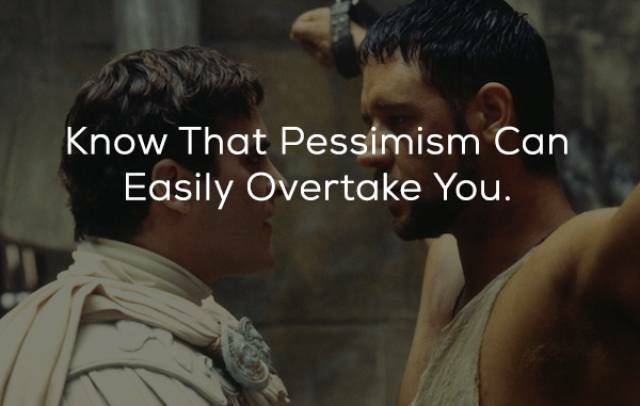 You need to understand that you’re not immune to distress and that behaving with pessimism keeps you from addressing the challenges that arise. Holding on to anger/resentment/hate is like drinking poison and expecting the other person to die. 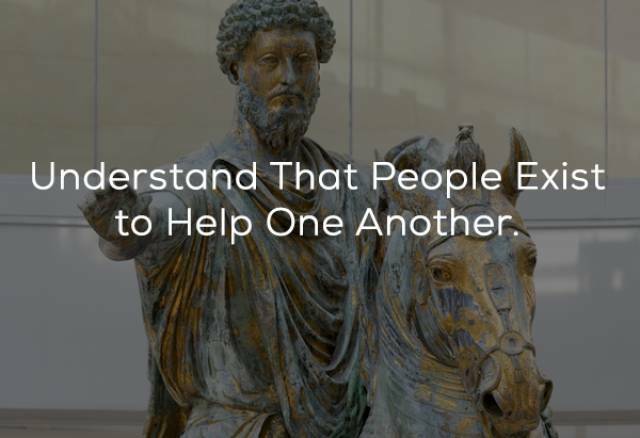 According to Aurelius, sincere kindness is “invincible.” It’s more powerful than any negative transgression, and it takes a strong leader to put aside ego and base emotions and behave only with compassion. The best leaders and people, use kindness as a tool. 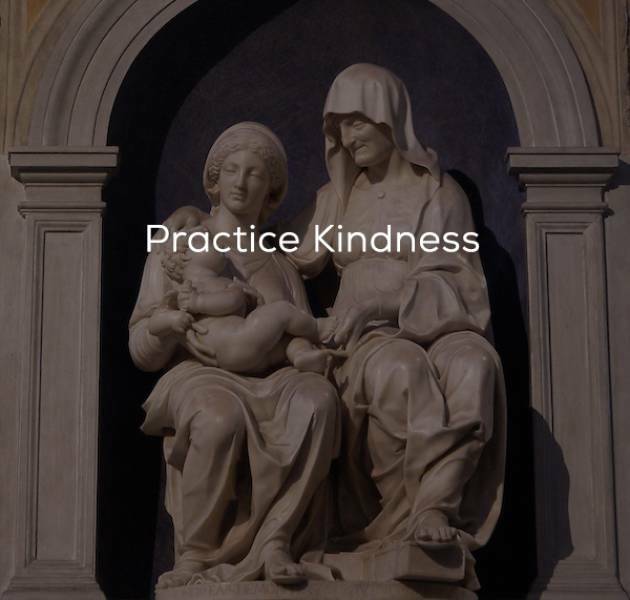 Anyone, even the most vicious and cruel, is powerless in the face of kindness, and if you’re using that kindness to set them straight, then you’re on the right track. You know that old saying, “You catch more flies with honey?” It’s this. Kill ’em with kindness. 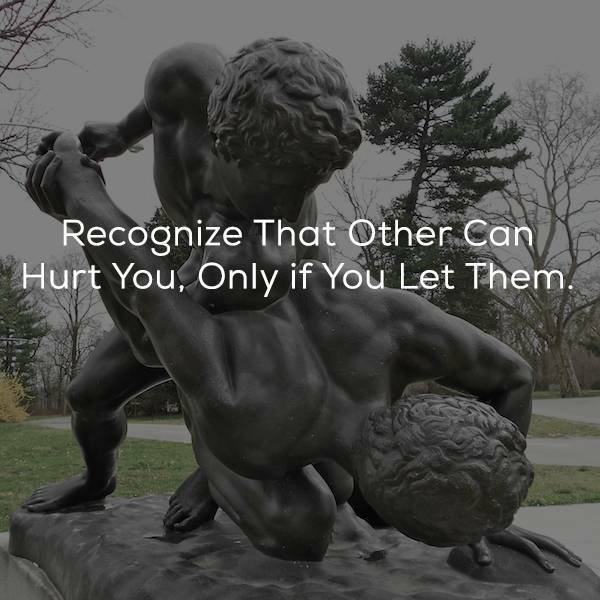 While great leaders can do everything in their power to behave properly and compassionately, they also need to be aware that there are some people who find meaning in destroying others. They’ll try to bring you in and take you down, and in the end, you need to understand that it’s foolish to think you can change them. Sometimes, you need to recognize a lost cause, and walk away.